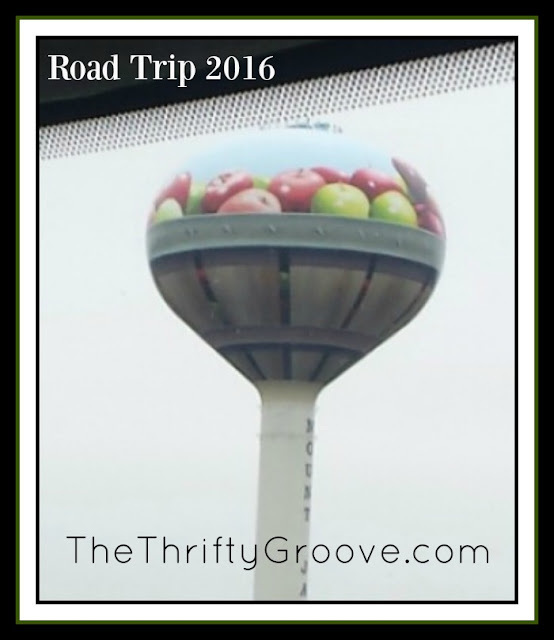 The Thrifty Groove: I'm Back From Our Trip! I'm Back From Our Trip! Troy and I have returned from our 3 week adventure. It was so weird to realize that it was the first time we have been home in 2016! Even weirder, I haven’t cleaned the house since “last year”! LOL Which meant I had two years of dust waiting for me when I returned home! I know a lot of you followed along with me for the past 3 weeks via Facebook, TTG FB Page and Instagram. I had such a blast bringing y’all with me! Although Troy was working, I was able to enjoy seeing 15 different states that I haven’t been too in over 10 years! We tried to get in some fun things as often as possible. Fortunately for us, we can have fun just being together. 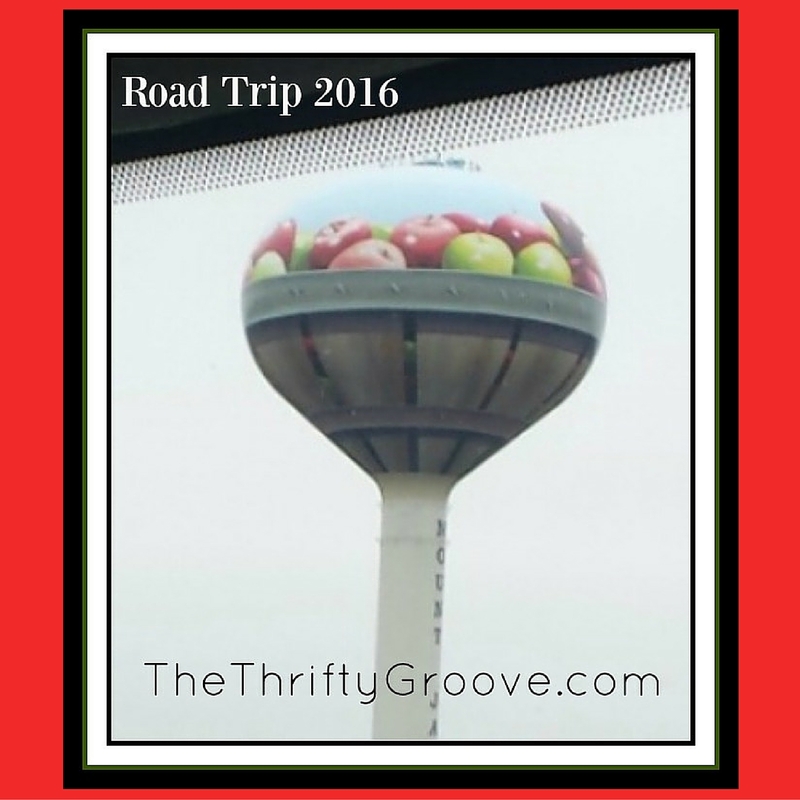 Being together 24/7 for 3 weeks in the cab of a semi truck while driving interstate highways gave us LOTS of time to talk. We talked about this past year and where we are now. We talked about our hopes and dreams for the new year. We also went over our financial goals for 2016. I am so blessed to have a husband that totally supports everything I do and completely trusts me in being in charge of our finances. Last year when Troy returned to work full time we sat down and figured out a reasonable “allowance” for each of us. We decided that amount still worked for both of us. We were pretty fortunate that we had not accumulated a lot of debt over the past rough years. So last year was the year to clear any debt we had and purchase a few things that we needed that had been put off due to lack of money. We also worked on building up an emergency fund. That was a big one for us. We had been living so tight for so long that an emergency fund wasn’t possible. Now at least, we feel we can breath a little! Now in 2016, we have new financial goals. And I am pretty excited about them! I told Troy all my ideas for getting even more thrifty in this upcoming year. As I talked and talked I noticed that Troy wasn’t saying much. At one point I asked him if he didn’t like my ideas. He said, “All of those ideas are fine and dandy but…. (my brain instantly did the whole “Uh Oh!”)…. I need to know you are happy and enjoying life. I don’t want you to go so tight that you dread each day. It’s not worth it for me being away from you so much if you aren’t happy.” I know, sweet guy huh?! I thought about what he said. And what I told him was, “I am happy knowing I don’t have to worry about paying our bills. That was always such a huge stress. Buckling down and getting thrifty so I can work towards an awesome goal is actually fun for me! I’m weird. I really like to work toward goals like getting a house. I feel positive when I see how all the small thrifty things I do can add up!” For me, it’s empowering! As I was redesigning my blog, I really thought about my life and in all the areas that I can save money in and be thrifty. When I created the tabs at the top of my blog, you can see that I touch on pretty much every area in my life. So I’m excited to get my thrift on and work toward my goals this year! I hope that 2016 has been good to you so far! Have you set some financial goals? Have you thought of some areas in which you need to save some money? Are you ready to get thrifty with me?! Thank you for stopping by for a visit! Have an awesome day! Yes, I followed your trip on Facebook and as I enjoy a good road trip myself, I was happy to see you were having such a great time! I have a blog on my goals for this year, I just have make myself get started! January is almost over! Looking forward to your upcoming travel posts! I'm so glad you joined along with us Jeannie! Getting started is the hardest part! But we can do it!! We did Cindy! Happy New Year to you as well! I loved riding along with you on your trip. You and Troy have such a great time together! I'm working on a simplified home and life this year. It does include being thrifty also. Your tips are always right on so I enjoy your blog for that and just you being you. Glad you are home. Linda, you have been doing so amazing!! You help keep me on track all the time!